So what does this say about Campari, the sixth largest spirits company in the world? It says that they appreciate the artistry in their own branding. Davide Campari, son of founder Gaspare Campari, commissioned the most prolific painters of the early 1900s to create imagery for Campari’s products. Davide understood that marketing is an art form that requires the input and skill of true artists. Modern technology is both a blessing and a curse in the marketing world. While we’ve made leaps and bounds, particularly in the manner and frequency with which we’re able to communicate with customers, technology also distances us from the artistry of molding a brand—and allowing that brand evolve over time. With the world at our fingertips, it’s simply too easy to populate webpages with stock photography and quirky messaging. What this approach lacks is poetry. Sophistication. The makings of a 150-year-old, treasured lifestyle brand. Take that road less travelled. 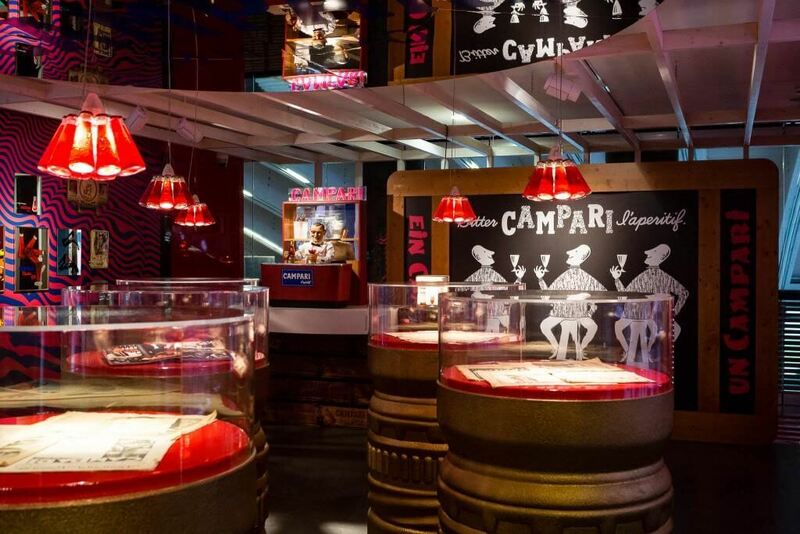 Branding aside, Campari’s advertisements were groundbreaking in the world of graphic design. In the past decade, companies like Skittles, GoDaddy, Dove and Dollar Shave Club have proven that taking a risk and venturing into the unknown can reap remarkable rewards. So, do something outside the box. Stay true to yourself, but be open to stepping out of your comfort zone. Find your muse. Whether it’s a commissioned graphic artist or your longtime marketing partner, we always need that second voice to offer a new, refreshing perspective. Collaboration is probably the most vital and most rewarding part of the creative process. Find a balance between artistry and technology. When it comes to marketing campaigns, both art and tech are instrumental components of the same process, working toward a shared goal. They may not eat at the same cafeteria table, but you must find a way to meld the two together. Eschew the artistry, and you’ll risk being just like everyone else in your industry. Shun the technology, and your artistry will never reach the global audience it deserves. Sure, not every TV commercial deserves to be a cinematic Fellini masterpiece (though you can find Campari’s Fellini commercial on YouTube), and not every poster deserves to be framed and hung on your living room wall. But you can still honor the creative process and respect the art form. And when your brand-inspired museum opens in Zurich 150 years from today, you can tell them that we pointed you in the right direction.